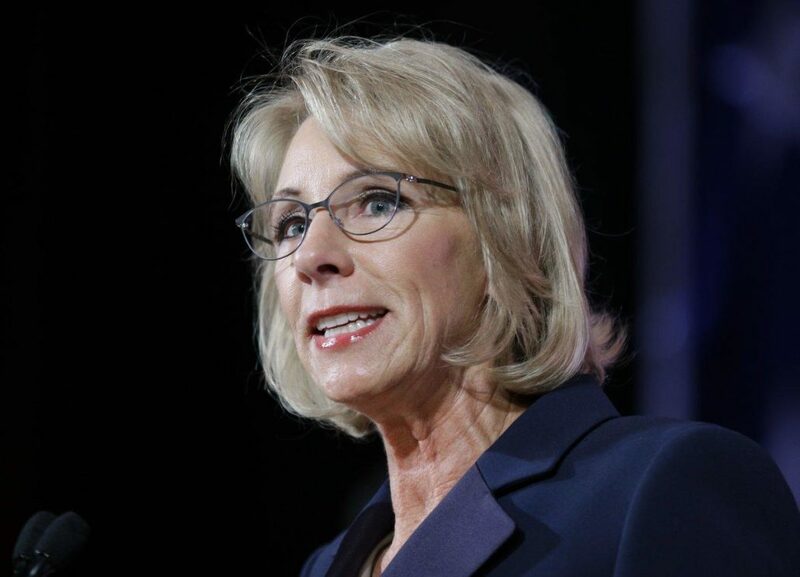 Seventeen of the nation’s most powerful civil rights and education groups called on U.S. Education Secretary Betsy DeVos to reject New York State’s public education plan because it shortchanges immigrants and students with disabilities. The Leadership Conference on Civil and Human Rights and 16 other groups, including the National Association for the Advancement of Colored People and the National Center for Learning Disabilities, signed a Wednesday letter to DeVos that urges the rejection of the state’s request for a waiver to ease testing requirements for students with disabilities and English Language Learners. In a plan submitted to the U.S. Department of Education on Sept. 18, state Education Department officials asked DeVos to waive parts of the act that would require students with disabilities and English Language Learners to pass the same state reading and math exams that typical students take. State Education Department spokeswoman Emily DeSantis said the plan, including the waiver request, was based on extensive public outreach. “The plan we submitted to the USDE reflects the feedback we received on how best to achieve school improvement and prepare all students for success,” DeSantis said. Reps for DeVos did not respond to a request for comment. © 2018. NYC Special Education Collaborative. All Rights Reserved.